The release is packed with awesome stamp sets just like every month that makes it difficult to choose what you “need”. To showcase the new release I have created 10 cards. Today I am sharing a video making the 5 of them and then tomorrow I will be back with the second part sharing 5 more. I hope the video will help you to decide what stamp sets are for you! 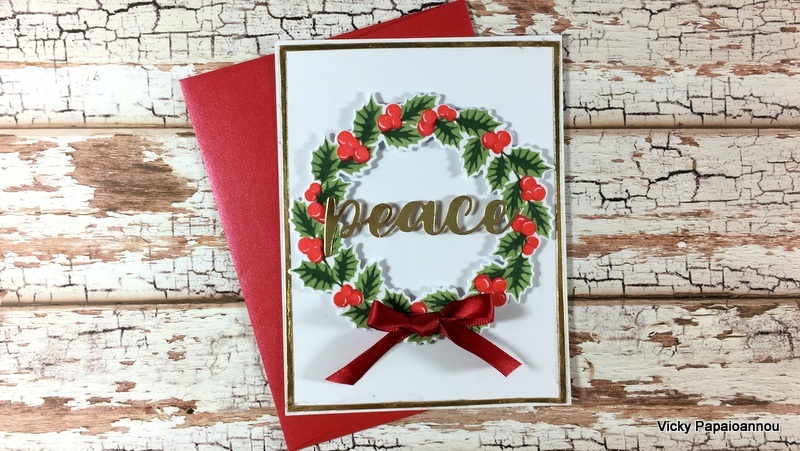 For this card I used the Peaceful Wreath Stamp Set ( ALTN | SSS ). It’s a gorgeous stamp set with layers that gives you this beautiful outcome in no time! No nee to do anything more on a card with that, just add your sentiment and finish off with a ribbon! For a touch of elegance I die cut a gold border using the Fine Frames Cover Die ( ALTN | SSS ). Here is a card where I used tiny little stamps to make it. We usually underestimate them but they can create lovely cards with really low cost! For the brunch I used the Season’s Greetings Stamp Set( ALTN | SSS ) ans you can also use the sentiment included. I wanted to showcase one more mini set so I used the Mini Christmas Stamp Set( ALTN | SSS ) from a previous release. 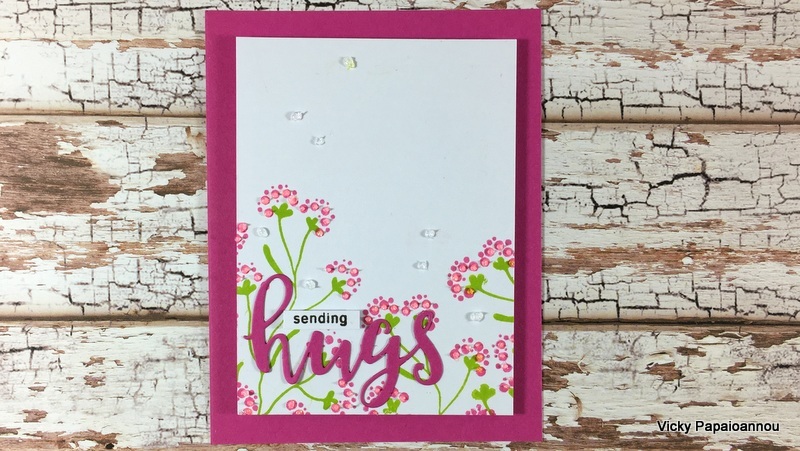 For this card I used the Blooming Branches Stamp Set ( ALTN | SSS ). It’s a lovely flower stamp set with a very usnique design. You can stamp only the branches or add a second layer with the blooms. 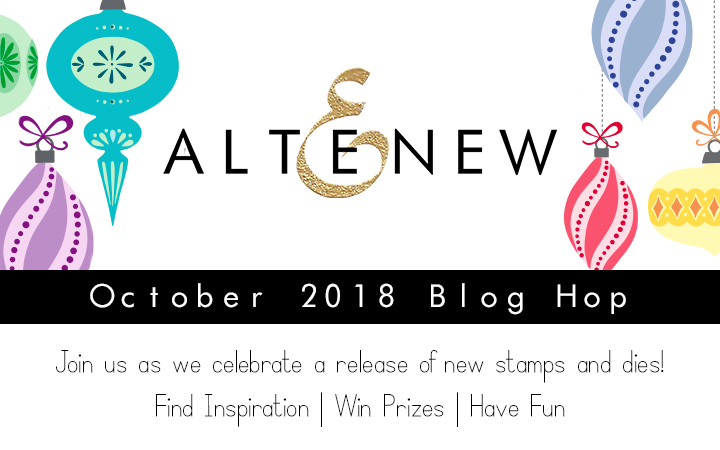 Altenew keeps coming up with wonderful flower stamps in every release. 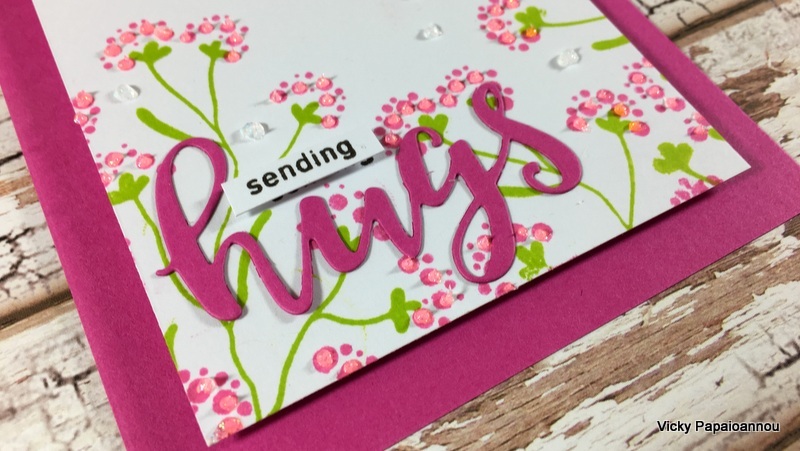 Here I used the Playful Blooms Stamp Set ( ALTN | SSS ). 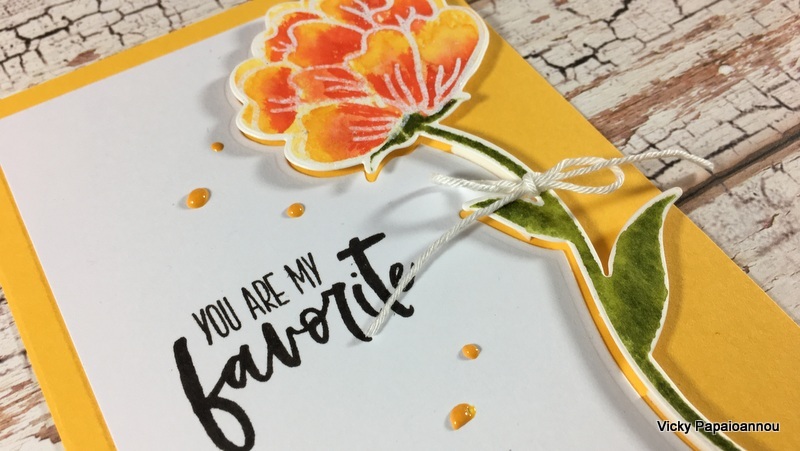 Instead of using the layering stamps with ink pads I worked with my Watercolor Brush Markers – Spring Garden Set( ALTN | SSS ). 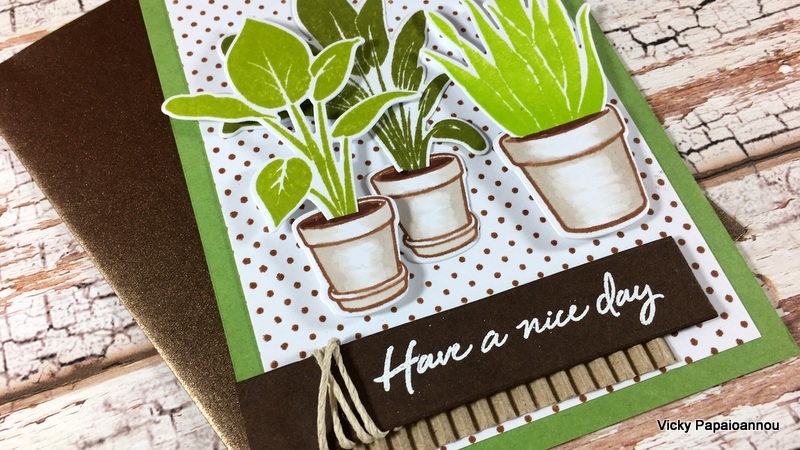 Finally here is an earthy looking card using the Potted Plants Stamp Set( ALTN | SSS ). I kept the colors in shades of green and brown which makes the card perfect for men or women. The polka dot at the back is from the Dainty Swiss Dots Stamp Set( ALTN | SSS ). Leave me a comment below for a chance to win $30 gift certificate. The winner will be announced on my winners page on 17th of October 2018. Vicky, these are all so very pretty. Love it! Absolutely love all the cards you make…. for this blog hop and in general. 🙂 It is always very difficult for me to pick a favorite when you make several at one time. 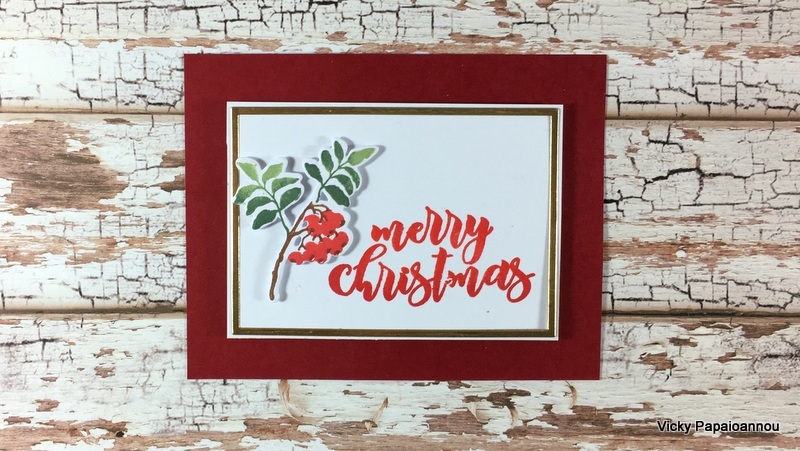 But I do especially love this great new wreath stamp set from Altenew and the card you created using it. My second favorite is the card with the yellow background and the single flower silhouette-cut into the edge of the white card-stock. So many beautiful cards. You have such a creative imagination!! Thank you for the inspiration! Such wonderful cards! I love the playful bloom card! Such a fun design! Thanks for sharing all these fantastic card designs and your talent. Good video and idea for cards. Love this new release Thanks for sharing. 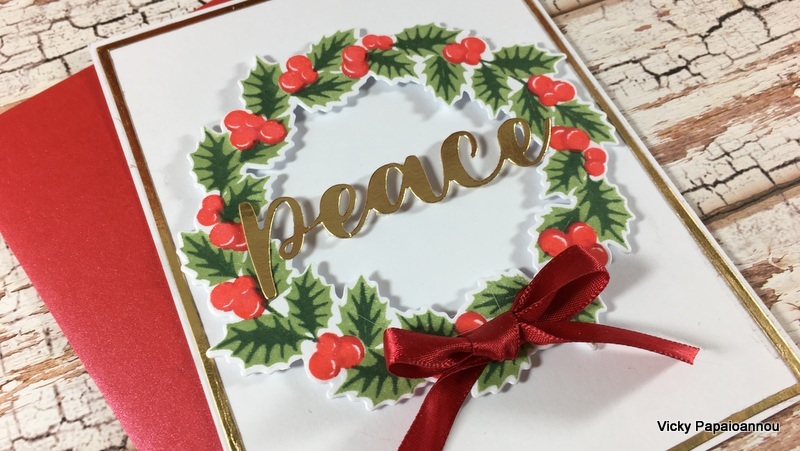 I love the Christmas stamps in this release, great cards Vicky! All of your creations are gorgeous!!!! 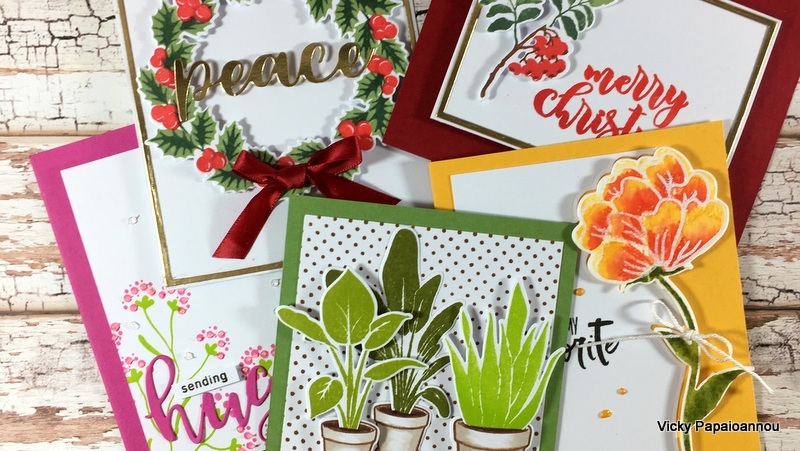 A plethora of beautiful cards! My favorite has to be the yellow one where you’ve trimmed the panel along the lines of that single beautiful bloom! Fabulous. Gorgeous cards! Looking forward to part 2! Love the new release. And thanks for the great inspiration. Your cards are really gorgeous! Wow Vicky! Your cards are astounding! I love them all! I love that you keep them clean, simple and fresh! Thank you soooooo much for the inspiration! Love your cards!! 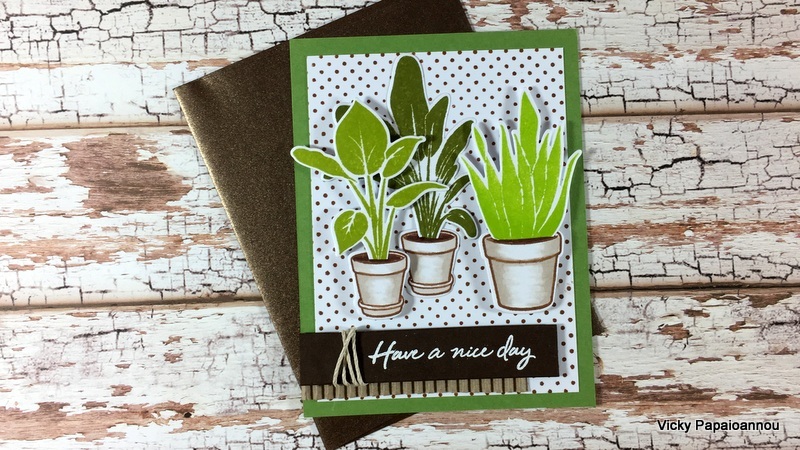 The potted plants stamp set is one of my favorites. As always, just incredible and amazing. 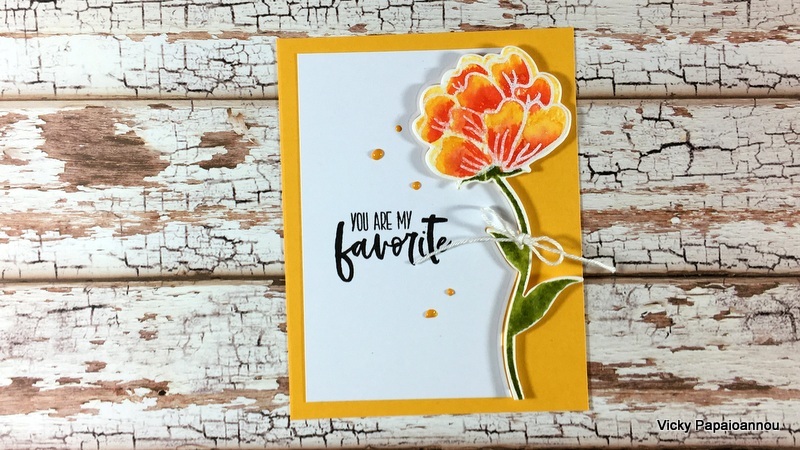 Great cards today….the Playful Blooms card was my favorite….but all of your work is awesome….thank you so much for sharing. I enjoy your projects and your videos. Thank you for all your ideas. 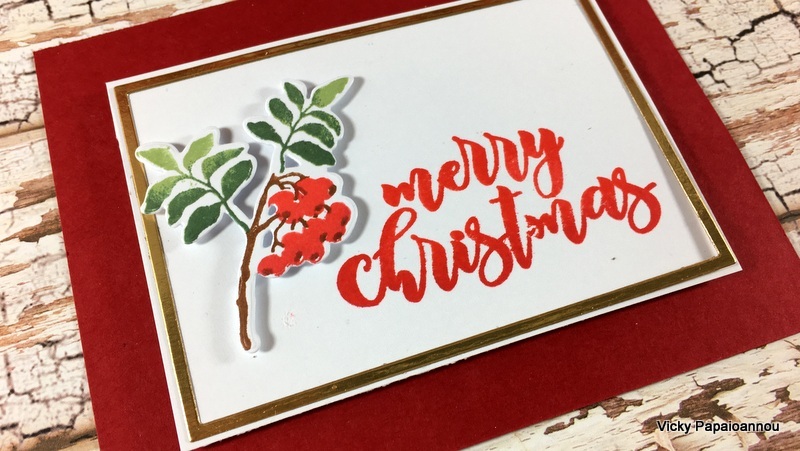 I love your cards and videos and you are inspiring me to get going on my own Christmas cards! Thanks for all you share and the variety of all your beautiful cards!!! I love your cards and videos and you are inspiring me to get going on my own Christmas cards! Thank you so much for all you share and the huge variety in all your cards – they are all beautiful!!! Gorgeous cards! I’m enjoying all the inspiration along the hop! WOW! All these cards are so gorgeous. This is such a wonderful release. Lovely cards. Such beautiful stamp sets. Thanks!